Or, How Property-Type Risk Affects our Bottom Line. Commercial Real Estate is no exception when it comes to an industry lexicon, so today we’re tackling the six basic types of commercial property: Office, Industrial, Multifamily, Retail, Miscellaneous, and Land. As a commercial real estate agent, investor, or even lender, it’s possible that you’ll focus on only one type of commercial property, and with that specialization comes a familiarity with the risks and rewards of that property type. But for those of us interested in commercial real estate as a whole, it’s important to understand how these property types relate to each other. It’s critical to remember that local conditions including occupancy rates, population, salaries, education, traffic, parking (just to name a few possibilities), will have a tremendous influence on individual property risk, but these property specific factors must also take into account the relative risk of that property type. In this resource blog, we’re looking for bottom-line risk. We’ll start with what’s widely considered the safest commercial property investment and work our way into more dangerous territory. Multifamily housing buildings, or apartments, are easily considered the most defensive commercial property investment type, but the reasoning, at first glance, may seem counterintuitive. Compared to other property types, the leases are very short term, typically 1-2 years. Often turnover is synonymous with turmoil and risk as we’ll see shortly with retail property, but with multifamily, turnover is part of the status quo. Larger apartment buildings are only minimally affected by any single vacancy, and when it’s possible to keep occupancy levels stable, risk can be considered low. Urban or suburban, and the size of the building will change the expected risk per property, but generally multifamily stability has much to do with local employment, home ownership and household formation rates, demographic trends, and competitive pressure from new construction. *(Class A) Multifamily U.S. Commercial Real Estate averaged a 5.52-5.67 capitalization rate in 2014. Retail, ranging from your dinky neighborhood shopping center to a city mall, is almost entirely dependent on the financial health of its tenants. Multifamily, for example, will stay in demand for as long as humanity needs a roof over its head. Retail is a different sort of animal – if the economy slumps and retailers stop turning a profit, these tenants may disappear. As anyone purchasing retail or seeking financing for retail will tell you, the health of the tenants, and specifically the health of an anchor tenant is key. As we mentioned earlier, any single vacancy in multifamily is acceptable, but when a retail’s anchor tenant packs its bags, a significant portion of property income may disappear with it. Because retail is higher up on the food chain, fluctuations in the national economy and consumer confidence will have a greater influence on property income than with multifamily. Another consideration for retail is the business savviness of business owners as tenants, which often requires space improvements and other demands that may not occur with apartment seekers. Leases are typically longer, which although creates stability, may lag on current market rates. 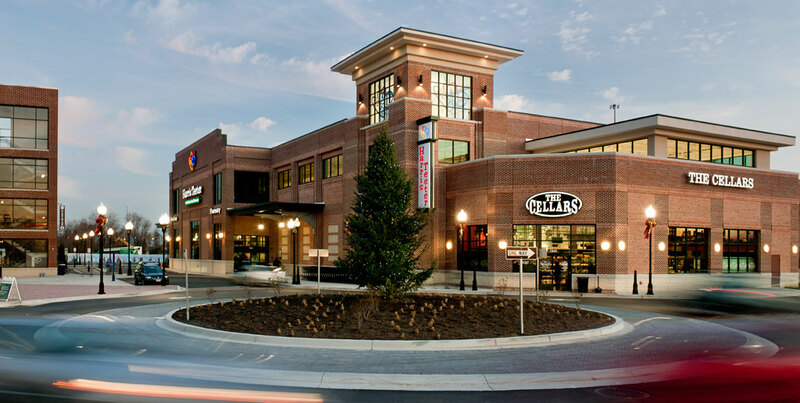 *(Class A) Retail U.S. Commercial Real Estate averaged a 6.83-7.33 capitalization rate in 2014. It’s easy to think of office as multifamily inhabited by retail, a space to rent that isn’t a store front, but is for business professionals. Office is likely to attract special feature demands like retail, for example, rights of first refusal to rent contiguous space, building purchase options, and signage. Leases do tend to be longer than multifamily as it’s typically harder to quickly fill a vacated space. Like retail, office occupancy rates will fluctuate with employment growth, economic health, and productivity rates. *(Class A) Office U.S. Commercial Real Estate averaged a 7.05-7.43 capitalization rate in 2014. We like to think of industrial space as the “blue-collar office.” Warehouses, distribution centers, manufacturing facilities, don’t let our term of endearment fool you, industrial space can fluctuate on a global economic level, including changes in import, exports, and corporate inventory levels that you may not find with local multifamily, retail, or office. Similar to retail and office, industrial often has long term leases. Although space may not need the glossy front of a retail center, industrial space may need to be significantly modified in order to suit a specific tenant. An entire industrial center may be inhabited by a single tenant. *(Class A) Industrial U.S. Commercial Real Estate averaged a 7.11-7.79 capitalization rate in 2014. The miscellaneous category of commercial real estate is basically a catch all for the less common property types, including, but not limited to self storage, hospitality, hotel, and medical. Each property type will have its own basis for risk, but by the very nature of occurring less than the four most commons categories above, the specialization into the miscellaneous category often demands a premium, or higher capitalization rates. A miscellaneous property may require financing through a specialized lender, and potentially purchase from a smaller supply of buyers. *(Class A) Lodging U.S. Commercial Real Estate averaged a 8.13-8.78 capitalization rate in 2014. The ultimate in property type risk is also the least surprising. Land has the potential to become any of the previous commercial property types, but without a proven record. All of the research, the economic and geographical information that can indicate a great investment opportunity will often pale in relation to a proven property record. An investor in land will need to implement the expertise of building a property as well as bringing it to its operating potential. So why would an investor choose land over a proven property? Simply for a greater return. If multifamily is bringing in 5.5%, but an investor thinks he can make 10% building an apartment complex himself, he may take on the added risk of purchasing undeveloped land. If you enjoyed this resource blog, please feel free to join us next time by subscribing for free email updates and to follow us on Twitter. This blog is for educational purposes only. If you’re looking for professional analysis products to capture the value of risk, try REsheets’ commercial real estate analysis software. *2014 Average Commercial Cap Rate Source.